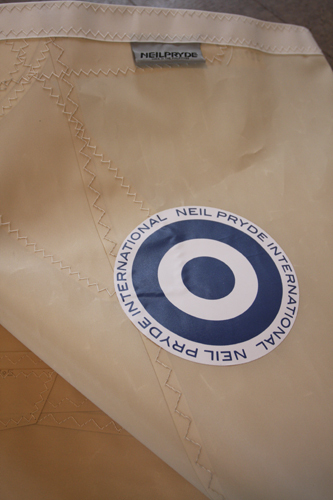 100 sq ft lugsail made exclusively by Neil Pryde Sails for SCAMP. 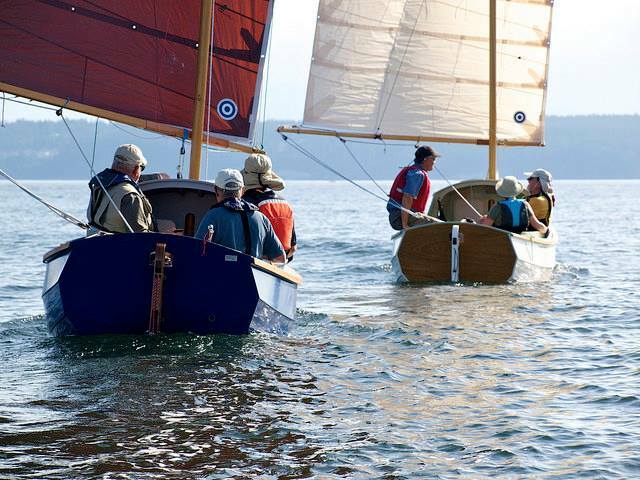 This class sail is made from 5.5 oz. 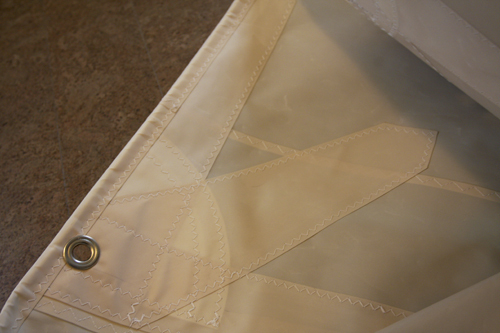 Challenge Sailcloth in a classic cream color. 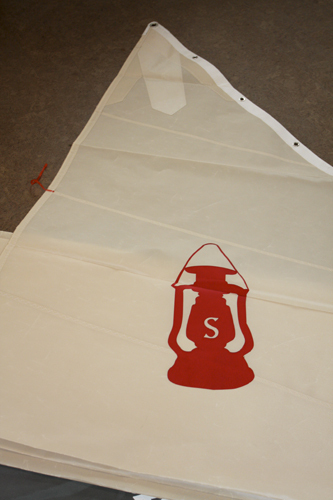 The sails come complete with three rows of reef points (photo of the prototype only shows two reefs), narrow panels, finger-style patches, tell-tales, the SCAMP lantern logo—even a labeled bag and sail ties. $699.00. • Click on the "Click to Enlarge" link under illustration at left to see several close-up photos of the sail • •••International customers please e-mail for shipping rates •••• Available in CREAM or TANBARK colors.